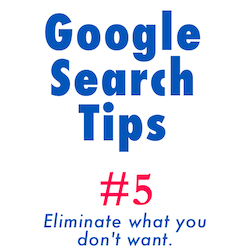 Fifth in a series of Google search tips. Sometimes Google finds too much. 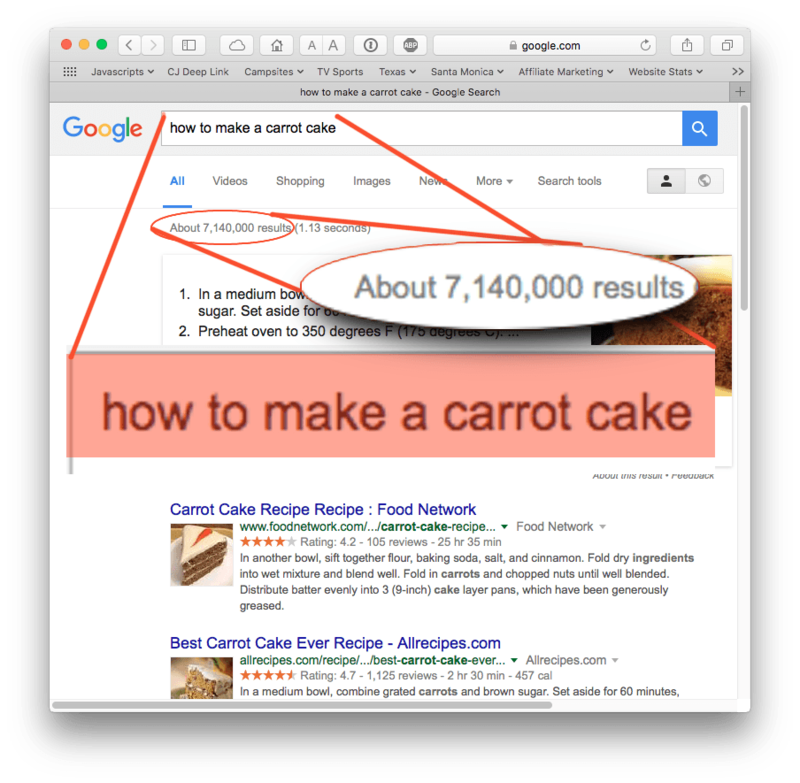 You look for information about making a carrot cake and it gives you seven million results. That’s overwhelming. Searching Google for how to make a carrot cake: 7 million results! Now we’re down to 1.8 million results. Maybe your friend is allergic to butter (poor thing). You’ll need a recipe without butter. That’s easy– put a minus sign in front of the word “butter” and you’re all set. Note: put a space in front of the minus sign, and no space after. Them’s the rules. 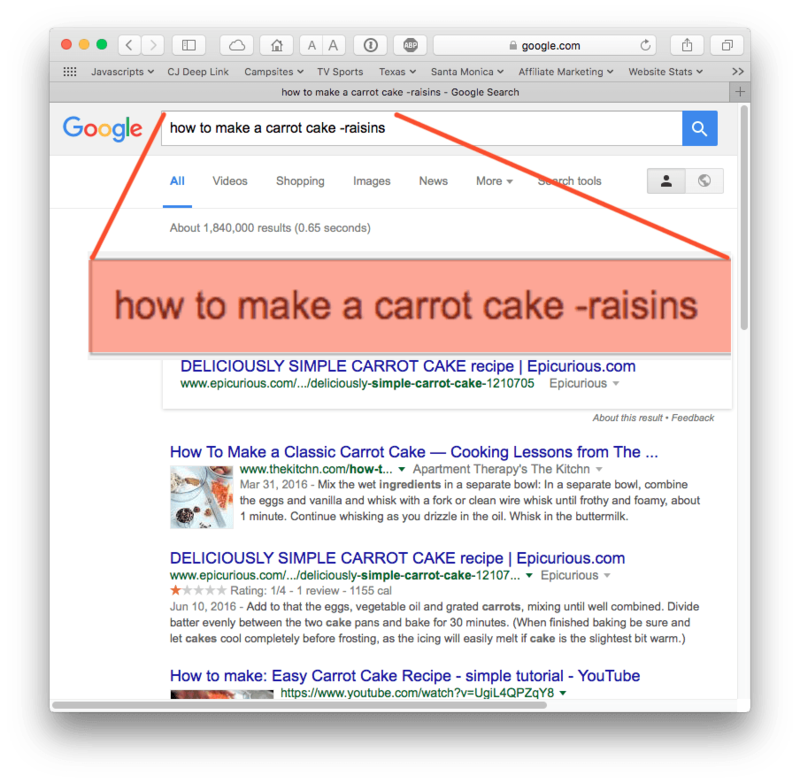 By excluding raisins and butter we’re down to 1.4 million results. But we can narrow things down further by putting our original search term (how to make a carrot cake) in quotes. 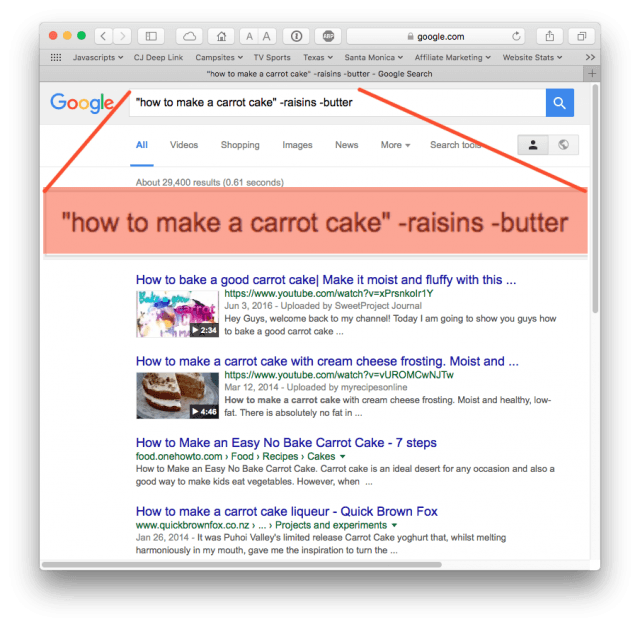 Putting things in quotes tells Google you want those words, in that order, and ideally with that exact phrase. 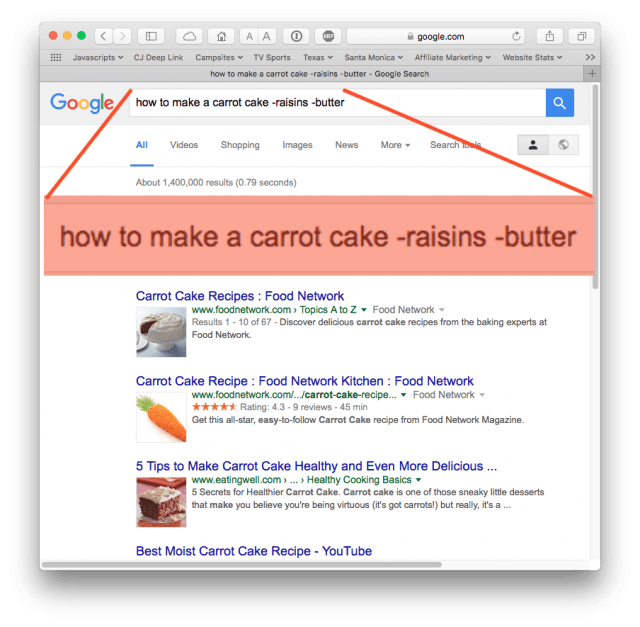 Notice how the search results are all titled “How to make a carrot cake” or some variation on the phrase– but always, the words are in that order. Google search results: no raisins, no butter, no video. We still have 15,000 results but they’re very focused. You can be pretty sure that these results will all be pretty much what we want. 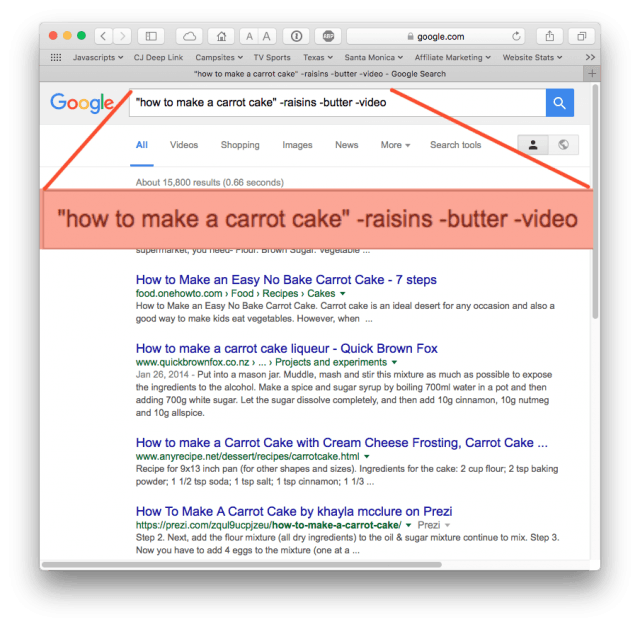 Put your search string in quotes if you’re looking for a phrase. Don’t hog all the knowledge– share this with a friend. Your friend will thank you and so will I.